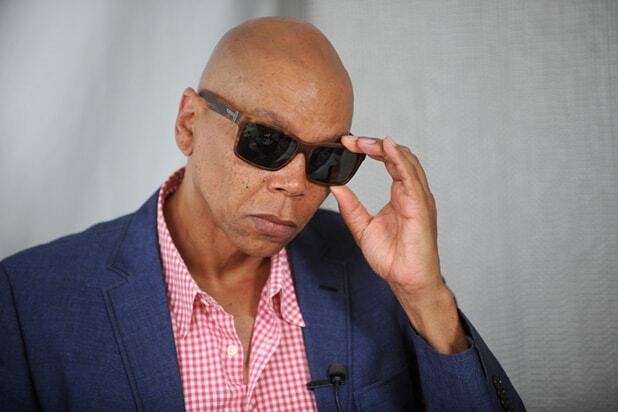 RuPaul, the Emmy-winning host of the VH1 reality show “RuPaul’s Drag Race,” was forced to apologize for his statements about transgender drag performers this week, an apparent reversal of his long-held belief that drag and the trans community don’t mix. The comments were met with criticism from fans, trans advocates and former “Drag Race” contestants alike, but RuPaul doubled down. “You can take performance enhancing drugs and still be an athlete, just not in the Olympics,” he wrote in a much-derided tweet on Monday. Many of RuPaul’s critics were quick to note that the history of drag culture is inextricably tied to the trans community — even “RuPaul’s Drag Race” itself has openly celebrated trans women in the past. “My drag was born in a community full of trans women, trans men, and gender non-conforming folks doing drag. That’s the real world of drag, like it or not. I thinks it’s fabulous and I will fight my entire life to protect and uplift it,” wrote Sasha Velour, the reigning “RuPaul’s Drag Race” champion who bested trans performer Peppermint in the Season 9 finale. Following the backlash, RuPaul issued an apology for the statements on Twitter. The host and executive producer promised that the only factors at play in the casting process are “charisma, uniqueness, nerve and talent” — the show’s tongue-in-cheek criteria for success. “Each morning I pray to set aside everything I THINK I know, so I may have an open mind and a new experience. I understand and regret the hurt I have caused. The trans community are heroes of our shared LGBTQ movement. You are my teachers,” he wrote. RuPaul’s apology tweet was accompanied by an image of a flag with green and yellow stripes, the relevance of which was initially unclear. However, some knowledgable Twitter users identified the image as a 1953 painting by minimalist artist Ellsworth Kelly titled “Train Landscape” — which naturally some to believe RuPaul attempted to search Google for the transgender pride flag (which features blue, pink and white stripes), accidentally typed in “trains” instead of “trans,” and posted the first result without realizing he had the wrong image. This is not the first time RuPaul has made potentially exclusionary statements about drag’s relationship to the trans community. So Monday’s concession and apology are a significant break from what RuPaul has said in the past, representing an apparent shift in his belief’s about the role of gender in drag performance. Whether that will play a role in the casting of “Drag Race” going forward, however, remains to be seen.